3093 Square feet (287 square meter) (344 square yards) 4 bedroom modern house. Designed by Dream Homes, Tamilnadu, India. Ground floor : 1603 Sq.Ft. First floor : 1490 Sq.Ft. Total area : 3093 Sq.Ft. 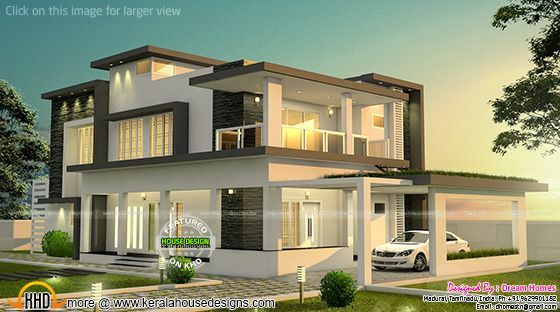 3 comments on "Beautiful modern house in Tamilnadu"